While the deadline for mass rally has been announced by the leadership of CNRP on September 7, 2013, one day prior to the NEC’s official announcement of the national election result, the debate and discussion are richly exposing through the media and meeting tables. Puzzling questions are coined on the CNRP’s leadership to choose between mass rally or diplomatic negotiation, or both are instrumental for the effort? 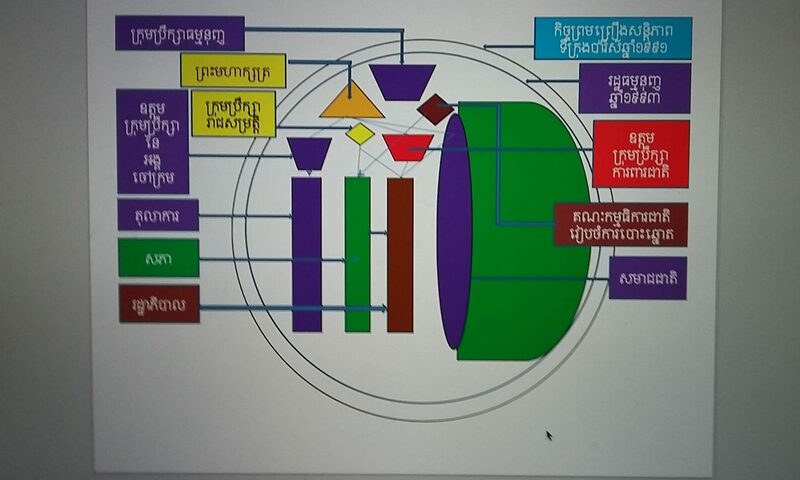 According to the press released and continual announcement of the CNRP’s leadership, both scenarios are clearly displayed to garner political progressive for a new update of political culture in Cambodia. 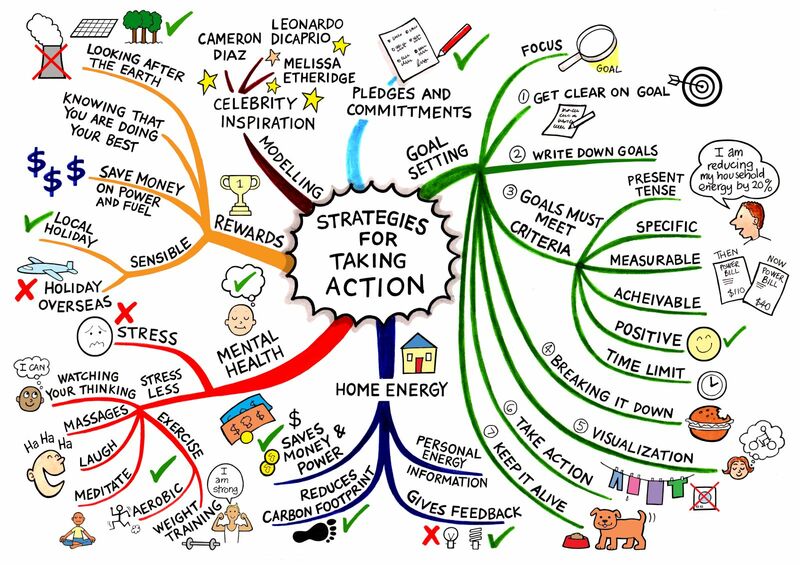 One of the effective work is the responsiveness. The leadership of CNRP has worked well responsive to the demand of the supporters. 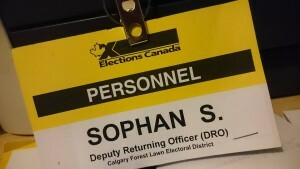 It is part of the democratic principle that being a leader is not a divine power but a supportive energy from the supporters. 30% of Cambodian youths have been calling for change and genuine reform in Cambodia. The preliminary result of election doesn’t satisfy those youths, so the optional mass solidarity is not a mere or flimsy future. I think the announcement of mass rally is the preparedness to answer their demand for their bright future. However, the locus of CNRP’s leadership are still mainly focusing on diplomatic solution. 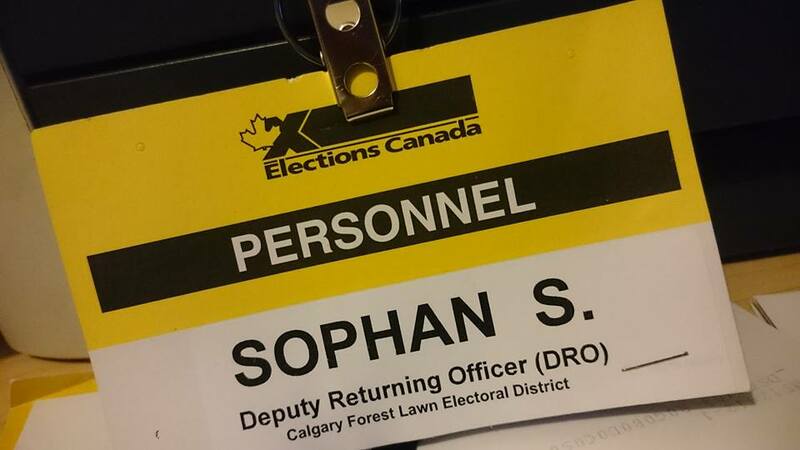 As we all know, this party is created by the people whose weapons are not guns or tanks, but two empty hands, two bear feet and one head. These equipments are the manifestation of non-violence and tolerance. If the negotiation results is in vain, just “let it go” like Nelson Mandela said for the mass rally but it must be non-violence and in the manner of very well organized. As a matter of fact, many Cambodian people especially youths are cheerfully and bravely to come out to the street to participate with any type of peaceful mass rally. 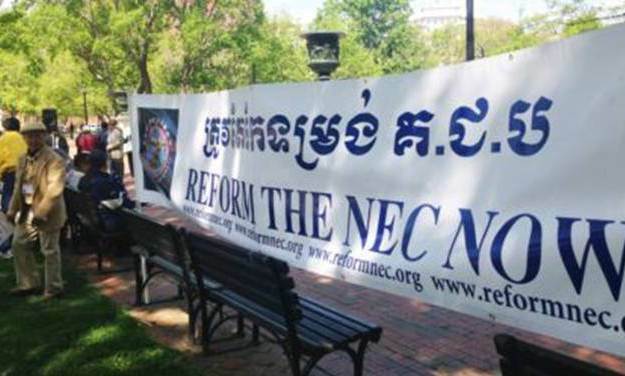 For Cambodian diapora, beside of coming out to the street everywhere around the world to join the rally, they have also petitioned their constituents to pay attention at the irregularities of Cambodian election. 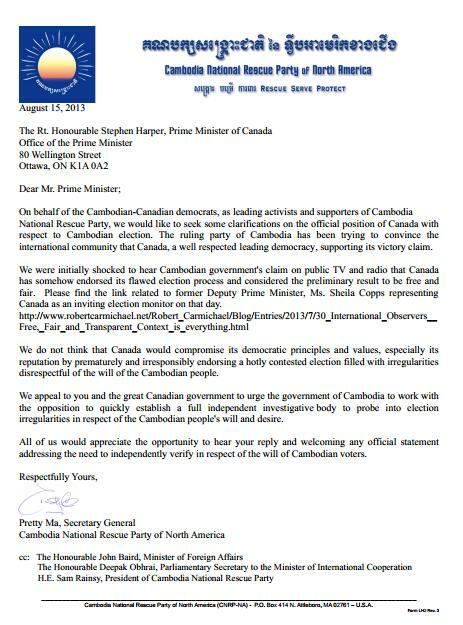 To what I have known, the CNRP’s supporters in Canada has tirelessly worked to lobby its government about the Cambodian election and its result irregularities. 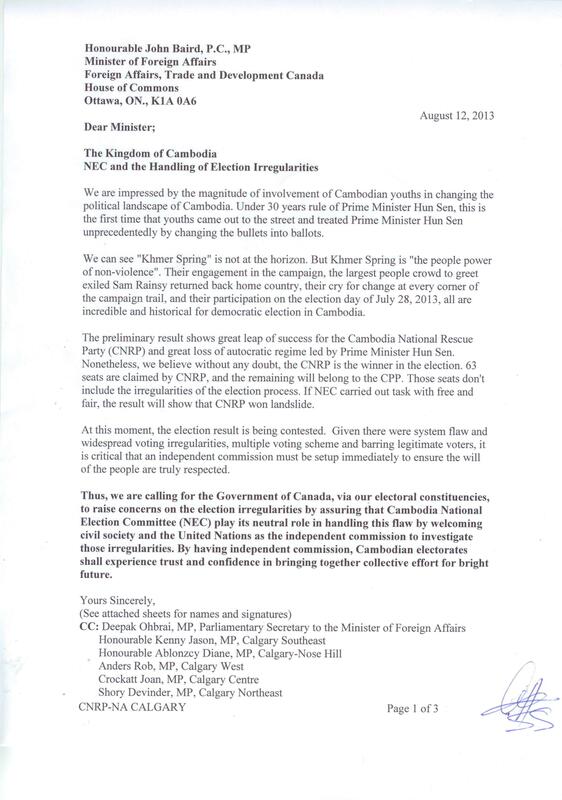 Attached here is the letter to the Minister of Foreign Affair of Canada through local constituencies to support the request of CNRP’s quest for free and fair election in Cambodia by including civil society and the United Nations into the commission of investigation body on those vast election irregularities. 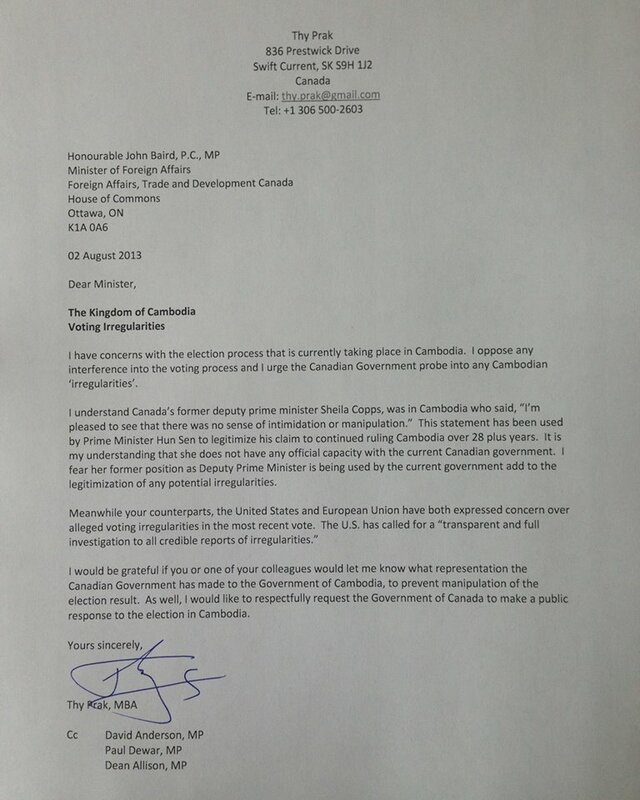 view of Sheila Copps on her capacity to the result of Cambodian election on the July 28th, 2013, is just her personal view, it doesn’t represent the view of the Canadian government at all. These activities of Cambodian diaspora are very vivid and effective in utilizing the power of diplomacy and non-violence campaign responsive to the CNRP’s key leadership.